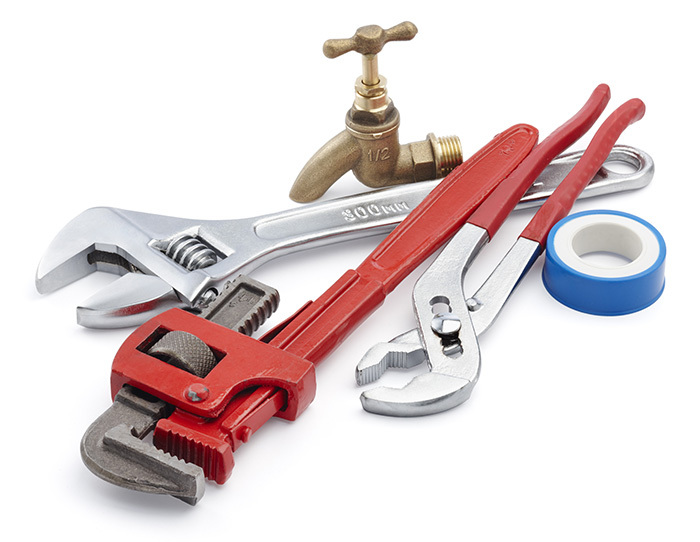 Repairing, replacing and installing Waste King Garbage Disposals for decades. If you have a problem with your Waste King Garbage Disposal, call the experts at Mr.Rooter today. They will be out to repair or install your Waste King Grabage Disposal quickly. Below, are a list of Waste King models that we maintain and repair on a weekly basis. Waste King 9930 Legend 1/2 HP: is an excellent waste food disposer. It is designed to cater for your daily disposal needs, grinding waste food by using a very powerful and high speed motor. Waste King 9930 Legend 1/2 HP features a high speed 2600 RPM. It is designed to cater for your daily disposal needs, grinding waste food by using a very powerful and high speed motor. Waste King 9930 Legend 1/2 HP features a high speed 2600 RPM permanent magnet motor, stainless steel grinding components, continuous feed unit and safe properly sized septic tanks. The power cord is also included in the box and this unit is backed with a lifetime corrosion warranty. In addition to the aforementioned features, Waste King 9930 Legend 1/2 HP’s direct current motor is a major advantage in this unit and has a higher starting and low speed torque than induction motors of the same horsepower making it virtually stall and jam proof. Overall, Waste King 9930 Legend 1/2 HP is one the best disposers in the market today. High Speed Grinding: with a speed of 2600 R.P.M, Waste King 9930 Legend 1/2 HP is among the fastest waste food disposers. This speed makes it efficient and best choice for grinding of large amount of wastes. Sleek and ergonomic: Waste King 9930 Legend 1/2 HP is designed to grind more food within a short period of time. This makes it to maximize on productivity and conserve energy. The different components of this unit are also made of stainless steel for easy installation and faster replacement. Powerful motor: Waste King 9930 Legend 1/2 HP features a high speed 2600 RPM permanent magnet motor. Warranty: customers also enjoy a lifetime corrosion warranty on this product. This shows commitment to quality. Waste King 9930 Legend 1/2 HP is the best investment you can make. It is sleek and has a very fast and powerful motor designed to continuously grind waste food. Waste King 9930 Legend 1/2 HP is also backed with a lifetime corrosion warranty. The right remedy for your entire garbage disposal. This unit is incomparable to the previous waste disposers. Waste King 9940 Legend Series 3/4 HP is very quiet and has a powerful motor capable of running non-stop continuously turning your food wastes into a mush that can easily pass through the plumbing without clogging. Waste King 9940 Legend Series 3/4 HP’s grinding components are made of stainless steel for easy installation and replacement. It is sound insulated for quiet operation. Also safe for properly sized septic tanks. In addition to the above features Waste King 9940 Legend Series 3/4 HP is backed with a lifetime corrosion warranty as a sign of commitment to high quality products. This unit is sleek and ergonomic. Overall, Waste King 9940 Legend Series 3/4 HP is an amazing unit that you can add to your kitchen to avoid cluttering of waste foods. Quiet: Waste King 9940 Legend Series 3/4 HP is sound insulated to make sure that there is minimal noise when grinding take place. Since this unit is also designed to run continuously, minimal sound should be maintained at all costs. Sleek and ergonomic: Designed in such a manner that it should grind more waste food within a short period of time. This is to maximize on productivity and conserve energy. The unit’s elements are also made of stainless steel for easy installation and cleaning. High-Speed Grinding: with a speed of 2700 Revolutions per Minute (R.P.M), Waste King 9940 Legend Series 3/4 HP is probably the fastest disposer in the market today. Powerful Motor: Powered by 3/4 horsepower Vortex motor that is capable of running without stopping. This is a nice feature in this unit for continuous grinding of waste food. Waste King 9940 Legend Series 3/4 HP is the best investment that you can make for your kitchen. This product is very unique as compared to other standard disposers. Waste King 9940 Legend Series 3/4 HP is also backed with the longest industry that depicts its commitment to quality. Waste King L-3300 Legend Series is one of the most energy-efficient, high-speed garbage disposer that we have on the market today. It features a high-speed, 2700 RPM Vortex Permanent magnet motor. Waste King L-3300 Legend Series offers more power per pound than other standard disposers. The ¾ horsepower motor featured in Waste King L-3300 Legend Series will grind tough foods such as rib bones. Waste King L-3300 Legend Series is a continuous-feed disposer simply meaning that you can add waste while the unit is still running. The stainless steel swivel impellers reduce jamming and an easily removable splash guard keeps things tidy. Waste King L-3300 Legend Series has a front-mounted reset button that allows for simple and faster operation. The grinding chamber of Waste King L-3300 Legend Series is made of glass-filled nylon. This makes the unit resistant to corrosion. Featuring stainless steel components that are insulated making it possible for quiet grinding process. In addition to the aforementioned features, also features a fast-and-easy system with all the necessary hardware for no hassle installation. Waste King L-3300 Legend Series disposer is safe for properly sized septic tanks and comes with a 36-inch power cord. The unit is also backed by a limited mechanical warranty and a lifetime corrosion warranty. Easy installation: this unit uses a fast-and-easy mount system, with all the necessary hardware for faster installation. High speed: Waste King L-3300 Legend Series features the high speed, 2700 RPM Vortex permanent magnet motor. This type of motor makes this unit probably one of the fastest disposer in the market today. Warranty: Waste King L-3300 Legend Series is backed by a limited mechanical warranty, meaning that if the disposer develops a mechanical defect within the first ten years of purchase, the unit will be replaced in your home without any extra cost. Waste King L-3300 Legend Series is also backed by an industry’s leading lifetime corrosion warranty as a sign of commitment to quality. Ergonomic: the grinding chamber is made of glass-filled nylon to prevent corrosion and the stainless steel grinding components are insulated for quiet grinding process. This unit is the best disposal in the market today, it is easy to install and has excellent features that makes it exceptional. In addition to that, Waste King L-3300 Legend Series is also backed with two warranties, 10 years mechanical warranty and a lifetime corrosion warranty that demonstrates commitment to quality. Waste King has been, to what would deem, royalty when it comes to disposals. They’re one of the most trusted companies in the industry, with scores of people who have used them in the past. It’s companies like this that set the standard, genuinely forwarding the industry with some really impressive innovations. Waste King has been, to what would deem, royalty when it comes to disposals. They’re one of the most trusted companies in the industry, with scores of people who have used them in the past. It’s companies like this that set the standard, genuinely forwarding the industry with some really impressive innovations, and this one doesn’t seem to be much different in that respect, as the Waste King L-8000 Garbage Disposal is assuredly one to write home about. And considering the amount of people who have bought this, it makes a lot of sense for more people to be intrigued as to what this thing can do. And fortunately enough, there’s a good amount of ability that’s here. First and foremost, with any of the Waste King disposals out, you’re going to get a lot of power here. In the Waste king L-8000 Garbage Disposal, there’s a very powerful 2,800 RPM ‘Vortex’ magnet motor. With this 1 HP motor, you’ll find that the Waste King is capable of a very powerful grind. In addition to that, you’ll find that the grinding components are designed to keep the sound down and the functionality, thanks to a grinding chamber that’s composed of glass-filled nylon with components that are made out of the best in stainless steel. Also, the bane of any disposal is when it jams, and with the continuous-feed disposer, you’ll be able to just add more things until the grinding chamber becomes operational again. And last buy not least; this model has something great as far as installation is concerned, as it even has the ability to work with septic tanks, as well. Waste King really doesn’t need much of an introduction. They have been integrated into a lot of homeowners lives throughout the years, and to this day, they remain one of the premier companies when it comes to garbage disposals – the Waste King L-2600 Garbage Disposal is no different. Waste King really don’t need much of an introduction. They have been integrated into a lot of homeowners lives throughout the years, and to this day, they remain one of the premier companies when it comes to garbage disposals. It’s because they really know how to make a product, and it’s very rare that they fail. They’re one of the only companies offering lifetime corrosion warranties for their disposals, and if anything, that’s an assurance to quality. It’s for this reason that they remain of the highest selling disposals to date, and the Waste King L-2600 Garbage Disposal is another one that is widely considered one of the better options, even stacked up to some of the other disposals in the Legend series. The construction has always been the forte of Waste King, as they have been really good about only using the highest grade materials that they can, and as one would expect, generally leads to a longer life. It’s no different here in the Waste King L-2600 Garbage Disposal. The grinding components are made of stainless steel, meaning that the opportunity for it to jam is pretty close to none. In addition to that, it’s got a pretty powerful 2,6000 RPM permanent magnet motor that has the ability to grind just about anything into oblivion. To back it up, it’s equipped with a 0.5 motor that assures that you’ll get very consistent power. And lastly, in the event that it does get jammed, just put more waste in until the motor kicks back in.